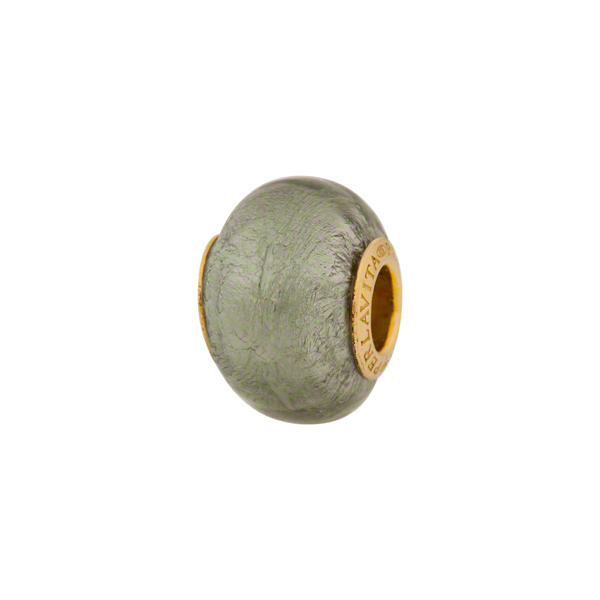 PERLAVITA Large hole bead with Vermeil, gold plated Sterling Silver Insert. Steel (Acciaio) Murano glass over .925 Sterling silver give it a great sharp look. Great shape approxmately 14x12mm. The hole inside these is approximately 5mm which will fit on Pandora Jewelry, Chamilia, Trollbeads, Biagi, LoveLinks.